Kanye is keeping it in the family. And its good for business. New record deal. 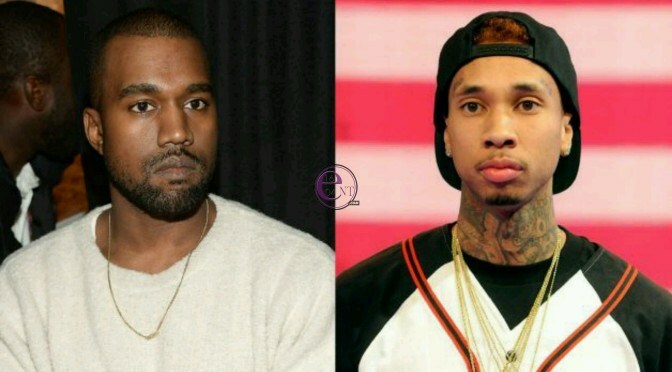 Kanye West has signed Tyga to his label GOOD Music. Kanye west made the announcement during his pop up show at New York City’s Highline Ballroom after kicking off NYFW with his Yeezy Season 4 show on Wednesday. Tyga's talent as an artiste is not in doubt, but family ties may have also helped in pulling the deal through. Tyga, of course, has an intimate connection with the Yeezus rapper as he is dating Kanye’s sister-in-law Kylie Jenner. Tyga self-released his last album The Gold Album: 18th Dynasty through his Last Kings label in 2015. His name still hasn't been removed from his former labels sites—for now. However, his previous label(s) Young Money and Cash Money still list him as signed artist on their websites. Meanwhile, it should be recalled that Kanye has earlier signed Desiigner, the “Panda” crooner, after winning out over 11 other labels, as the rapper and business mogul continues to build his brand.